Afua A. Ansong is Ghanaian American artist and a 2015 BRIO (Bronx Recognizes its Own) poetry winner who uses writing, dance, and music to express my culture and to explore the essence of home. 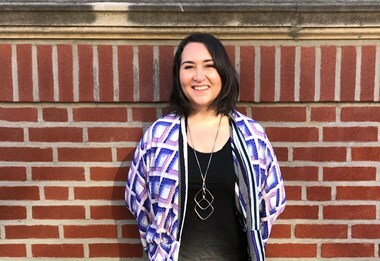 A current student of Stony Brook Southampton’s MFA program, she is working on several creative projects that investigate the effects of migration on human beings, birds, and language. Her work is forthcoming in Folio, TAB, The Seventh Wave and others. Silvia Oviedo is a translator and writer originally from Spain. She has been based in the Bay Area for the last 6 years, after some time in Madrid and Berlin. Silvia received her MA in Translation from Universidad Complutense. Silvia's poetry has appeared in several journals, collections and live events in Spain, Mexico and the US (El Perro, El Salón Barney, La manera de recogerse el pelo, SXO, among others), and she has been the recipient of the 'Ciudad de Aranjuez Young Poets Prize' in 2006, and selected by Jack Hirschman for the 2016 Poets 11 group. She is also the co-founder and editor of Desbandada Press (www.desbandada.com), a small bilingual press dedicated to becoming a meeting point, and a vehicle for promotion and diffusion of the poetic exile in the 21st century. Jeremy Freedman is a writer and artist living in New York City. His poems have been published in Pioneertown, Queen Mob’s, Cleaver, The Missing Slate, Otoliths and elsewhere. His photographs have been exhibited in Europe and the United States and have been recently featured in Hothouse, Redivider, the Monarch Review, the Citron Review and the Doctor T.J. Eckleburg Review. More work can be seen at jfreenyc.com. S.E. Ingraham is a writer who has learned to eschew labels. A white woman of a certain age, she knows many consider her position one of privilege (true) but, she also knows - the mantles of ageing, and mental illness provides her with an interface of disenfranchising which allows her a glimpse into other types of diversity. She knows what it is to be viewed as "less than" or even invisible. She isn't bemoaning these conditions, just recognising them for what they are - fodder for her insatiable lust for writing. As it was for many who attended Hudson Home School the summer of 2016, Ingraham felt as if she'd been granted a reprieve. Even Canadians (of whom she is one) seemed to need to step back from the election craziness just beginning to pick up speed, and the time she spent there was just the ticket. Ingraham left reinvigorated and ready to write. Mark Faunlagui was born in the Philippines, and received a Bachelor of Architecture from Cornell University. His poems have been published by Omnidawn’s OmniVerse, Augury Books, Sibling Rivalry Press’s Assaracus and Greying Ghost’s The Corduroy Mtn, and his manuscripts have variously been Finalists or Semi-Finalists in contests for Omnidawn, Augury Books, The Song Cave and 1913 Press. ON SOME HISPANOLUSO MINIATURISTS , for 1913 Press, is his first book. Mark is an Architect, and lives in Jersey City. Nathan Spoon is a bookseller at Parnassus Books. His publications include Oxford Poetry, Mantis, Reflections (Yale Divinity School), From the Lighthouse and X-Peri. He’s been anthologized in What Have You Lost? and is the recipient of a Tennessee Williams Scholarship to the 2016 Sewanee Writers' Conference and an alumnus of the 2015 Ashbery Home School. He is the Research Editor of X-Peri. Enrique Winter (Santiago, Chile, 1982) is author of Atar las naves (winner of Víctor Jara Arts Festival), Rascacielos (awarded the National Book Council fellowship, available in English as Skyscrapers), Guía de despacho (winner of the National Young Poet Competition), Lengua de señas (Pablo de Rokha Poetry Prize; available in English as Sign Tongue, version that won as well the Goodmorning Menagerie Chapbook-in-Translation prize) and co-author of the LP Agua en polvo (awarded the Fund for the Promotion of Chilean Music fellowship), collected in several anthologies like the upcoming Suns and languages including German and Polish. He is also author of the novel Las bolsas de basura and translator of books by Charles Bernstein and Philip Larkin. Winter holds an MFA in Creative Writing from NYU and directs the Creative Writing diploma at PUCV. He used to be an editor and an attorney. Cat Tyc is a Brooklyn based writer/videomaker whose work exists on the precipice of poetic mediology and has a MFA in Writing at Pratt Institute. Her video/installation work has screened locally and internationally at spaces that include Recess, Microscope Gallery, Anthology Film Archives, CUNY Graduate Center, Brooklyn Museum, Kassel Fest and the PDX International Festival. 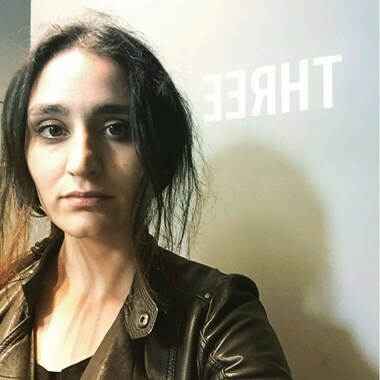 She co-directs the Poet Transmit, a project that engages in the connections between poetry, transmission, and performance with focus on multiple modalities. Her most recent writings have been published in Weekday, The Sink Review, 6x6 and Fashion Studies Journal and she is the author of the chapbook An Architectural Seance (Dancing Girl Press, 2017). 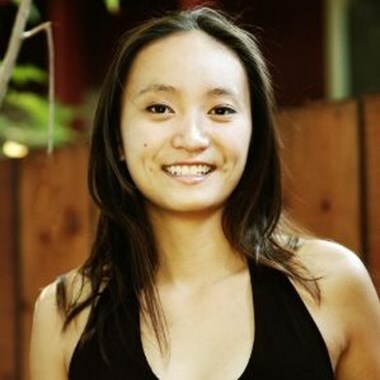 Qinglan Wang is a multilingual writer and artist originally from Hawaii. Nominated for a Pushcart Prize (2012), her work has been featured in Fourth Genre, Ninth Letter, The Ocean State Review, among other places. Maja Lukic is a poet and environmental attorney in New York. Her work has appeared or is forthcoming in Colorado Review, Salamander, Western Humanities Review, Sugar House Review, Vinyl, The Moth, Prelude, and other publications. Kateema Lee is a Washington D. C. native. She's a Cave Canem Fellow, a Callaloo Fellow, and an associate editor for the Potomac Review. Her poetry has appeared or is forthcoming in print and online journals such as Word Riot, African American Review, Poet Lore, Gargoyle, PMS:Poemmemoirstory, and others. Her chapbook, Almost Invisible, is forthcoming. When she's not writing or teaching, she likes binge-watching everything from cheesy movies to wonderful documentaries. Raena Shirali is the author of GILT (YesYes Books, 2017). Her honors include a 2016 Pushcart Prize, the 2016 Cosmonauts Avenue Poetry Prize, the 2014 Gulf Coast Poetry Prize, & a “Discovery” / Boston Review Poetry Prize in 2013. She has also been recognized as a finalist for the 2016 Tupelo Quarterly Poetry Prize & a 2014 Ruth Lilly Fellowship. Her poems & reviews have appeared in Blackbird, Ninth Letter, Crazyhorse, Indiana Review, Pleiades, Four Way Review, & elsewhere. She was raised in Charleston, South Carolina, where she recently taught English at College of Charleston, her alma mater. Born in Houston, Texas, the Indian American poet earned her MFA from The Ohio State University. She currently lives in Lewisburg, Pennsylvania, where she is the Philip Roth Resident at Bucknell University’s Stadler Center for Poetry, & serves as a poetry reader for Muzzle Magazine. Ploi Pirapokin was born in Thailand and raised in Hong Kong. Her work is featured in Tor.com, Apogee Journal, the Bellingham Review, Fiction International, the Griffith Review and more. 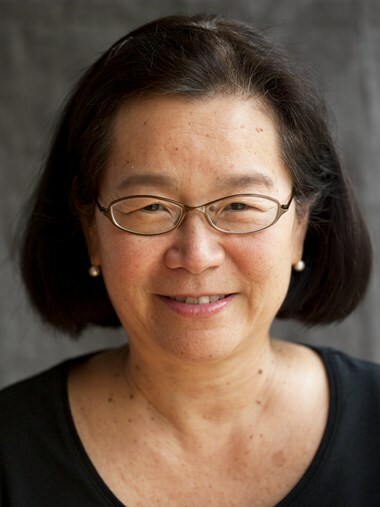 She has received fellowships from the Radgale Foundation, the Anderson Center, the Brush Creek Foundation, Willapa Bay AIR, Kundiman and others. She holds an MFA in Fiction from San Francisco State University and teaches creative writing in the Bay area. Douglas Luman is the Art Director of Stillhouse Press, Head Researcher of appliedpoetics.org, a book designer, poet, and digital human. Taylor Mardis Katz is a poet and farmer living in rural Vermont. With her partner, she runs Free Verse Farm, a poetry-inspired herb farm & apothecary. She also puts out a monthly literary newsletter, Read Literately, and works as a poet for hire. Her work have been featured in Muzzle Magazine, The Adirondack Review, Barnstorm, Salon, The Connecticut Review, and others. Clayre Benzadón was born in Miami, FL and currently is a senior at Brandeis University majoring in Psychology and Creative Writing. She is currently one of the editor-in-chiefs for Laurel Moon, the school's oldest literary magazine, and has been published by the Merrimack Review, Triadae Magazine, A Literation, Baer Books Press's poetry anthology titled Silver Linings-Poets Against Violence and Transcending Shadows Review. Alla Vilnyanskaya is a Russian born poet. She came to the U.S. with her family as a refugee in 1989. She completed her M.A. at Miami University, after which she went on to study at Columbia University. Her work has appeared in Poetry International, Zaum, and Boog City. Joe Milazzo is a writer, editor, educator, and designer. He is the author of the novel Crepuscule W/ Nellie (Jaded Ibis Press) and The Habiliments (Apostrophe Books), a volume of poetry. His writings have appeared in Black Clock, Black Warrior Review, BOMB, The Collagist, Drunken Boat, Tammy, and elsewhere. He co-edits the online interdisciplinary arts journal [out of nothing], is a Contributing Editor at Entropy, curates the Other People's Poetry reading series, and is also the proprietor of Imipolex Press. Joe lives and works in Dallas, TX. Larisa Svirsky is a philosophy PhD candidate at the University of North Carolina at Chapel Hill. Her poems have appeared or are forthcoming in Voices, Smartish Pace, The Fem, Uppagus, Glass: A Journal of Poetry, and The Ocean State Review. Her chapbook, Mission, recently won the Sheila Ortiz Taylor Chapbook Competition and will be published by the OIA Arts Press. Sandra Park’s novella, If You Live in a Small House, was published in 2010, an excerpt receiving an Iowa Fiction Award. Her poetry and fiction have appeared in the St. Petersburg Review, The Iowa Review, New American Writing, other journals and several anthologies, including Honolulu Stories and PEN’s Fightin’ Words. 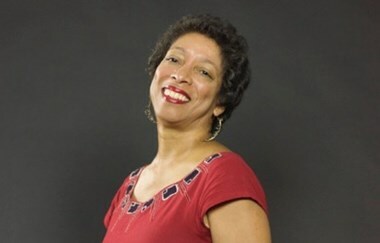 Her stage play, Red Money Bag, was a finalist for the Aurora Theatre Global Age Project. Her creative nonfiction won an AWP Fellowship in Prague. Born in Hawai’i, she teaches in California. When not reading, Sandra likes to cook, fiercely. 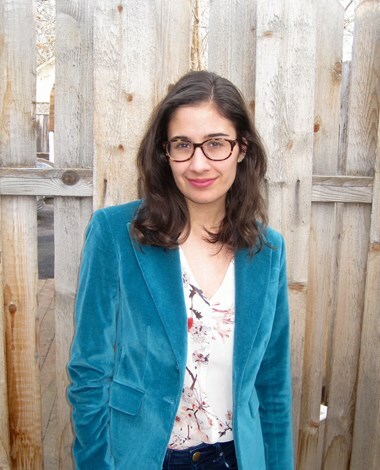 Laura Buccieri lives in NYC, where she is an MFA candidate in Poetry at The New School. You can find her forthcoming and most recent work in Bustle, Prelude, Potluck, PANK, Word Riot, The Seventh Wave, Reality Beach, Nourrir, Yes Poetry, Public Pool, Entropy, Red Paint Hill Publishing, Cosmonauts Avenue, and FORTH. Her chapbook, On being mistaken, is forthcoming in 2017 from Red Paint Hill Publishing. She works at Freeman’s Journal and Berl’s Brooklyn Poetry Shop. Check out more of her work here: laurabuccieri.com. Constance SHERESE Collier-Mercado is a Black Woman Writer/Artist, Founder of The CultSTATUS Arts Haven, and self-professed “Anthropologist of the Arts” in search of all the Culture she can get. "Fresh, DOPE, Beauty ..." are words she uses to describe the pluralistic idea that she can be any genre of Woman/ish Activist necessary to give voice to the fullness of Black Afro-Diasporic existence. Her writing primarily examines nuance and layer through the multilingual and equivocal - the literal and imagined intersections of sensory, mystic, and social identities - to include the cultures of abuse, empowerment, and dis/ABILITY. She recently curated an AfroFutures Syllabus event "Hoo-Doula/Voo-Doula" at the Auburn Avenue Research Library. 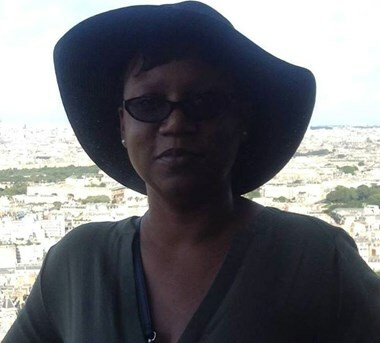 Her current projects include writing a volume of poetry and two novels - one in a multilingual Gullah/English creole, the other in Spanish – while metastasizing the reach of her work to depict the divinity and kinetic energy of The Kinfolk. Rebecca is a poet and nonfiction writer working in Brooklyn. Aaron Graham hails from Glenrock, Wyoming, population 1159 and a veteran of the wars in Afghanistan and Iraq where he served with Marine Corps' Human Intelligence and Counterterrorism Task Force as an analyst and linguist. Aaron is the poetry editor for Muse /A journal, and assistant editor for the Squaw Valley Review. He served as the "Cecilia Baker Memorial Visiting Scholar" for Seaside Writers. His Chapbook "Skyping from a Combat Zone" was shortlisted for the Sunken Garden prize and "Blood Stripes" was a national finalist for Tupelo Press's Berkshire Prize. His Poem "PTSD Poem #12" has been nominated as "The Best of the Net" and "Blood Stripes" won 1st place in f(r)iction's national contest. Janine Joseph was born and raised in the Philippines and Southern California. She is the author of Driving without a License, winner of the 2014 Kundiman Poetry Prize. Her poems and essays about growing up undocumented in America have appeared in Kenyon Review Online, Best New Poets, Best American Experimental Writing, Zócalo Public Square, VIDA: Women in Literary Arts, and elsewhere. Her commissioned libretti for the Houston Grand Opera/HGOco include What Wings They Were: The Case of Emeline, “On This Muddy Water”: Voices from the Houston Ship Channel, and From My Mother's Mother. She is the recipient of a Paul and Daisy Soros Fellowship, an Inprint/Barthelme Fellowship in Poetry, a PAWA Manuel G. Flores Prize, and a Howard Nemerov Scholarship for the Sewanee Writer’s Conference, among other honors. A member of Undocupoets and an editor of Tongue: A Journal of Literature & Art, Janine is an Assistant Professor of Creative Writing at Oklahoma State University. Jennifer Soong is a New Jersey and New York-based poet. She received her B.A. from Harvard University and is currently an English doctoral candidate at Princeton University, where she studies poetry and poetics with additional interests in guilt/shame, aesthetics, and Marxist theory. Her most recent poems have been published in Berfrois, H_NGM_N, Prelude Magazine, DIAGRAM, and more. She is also the poetry editor at Nat. Brut and is working on her first manuscript. Marissa Anne Ayala is a writer and artist based in New York City. She received her BA from Naropa University and an MFA from The New School. Her collaborative project Inside/Outside: a Map of Self and Place was featured in Handwritten and exhibited at Pen & Brush gallery in Manhattan. Her poetry was published in Connotation Press. Marissa designs and leads creative writing workshops, most recently at The Battery Conservancy and Pen and Brush Gallery. You find her on Twitter @MarissaAAyala and interact with her online working notebook at marissaaayala.com. Derrick Weston Brown holds an MFA in Creative Writing from American University. He is the founding Poet-In-Residence of Busboys and Poets. He is a graduate of the Cave Canem and VONA summer workshops. His work has been published and featured in such journals and publications as, The This Mag, JoINT, Colorlines and The Tidal Basin Review. His debut collection of poetry, Wisdom Teeth was released in 2011 on Busboys and Poets Press/ PM Press. He resides in Mount Rainier MD. You can follow him on Facebook, Instagram @theoriginalDerrickWestonBrown or through the PM Press website. 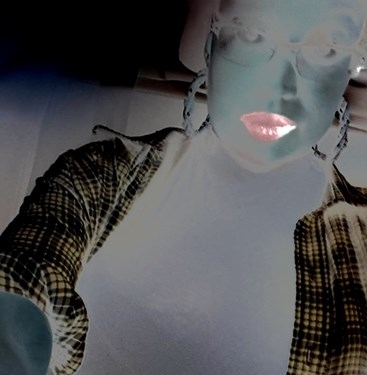 Autumn Royal is a poet and researcher living in Narrm (Melbourne), Australia. Autumn’s poetry and criticism have appeared in publications such as Contemporary Australian Feminist Poetry, Powder Keg, Rabbit Poetry Journal, Southerly, Mascara Literary Review and TEXT Journal. She is interviews editor for Cordite Poetry Review and author of the poetry collection She Woke & Rose. Robert Balun is an adjunct at The City College of New York, where he teaches creative writing and composition. His poems have recently appeared in Barrow Street, Poor Claudia, Apogee, Cosmonauts Avenue, and others. He completed his MFA at CCNY, and was a recipient of the Jerome Lowell DeJur Prize for Poetry and the Teacher-Writer Award. 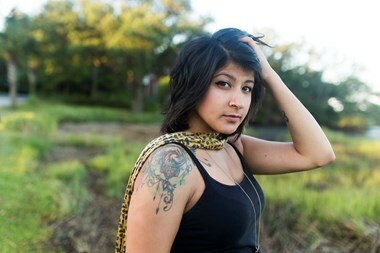 Dare Williams is a poet/artist/activist native to the suburbs of Southern California. He lives and works in downtown Los Angeles. He is a member of the art collective VOMIR. 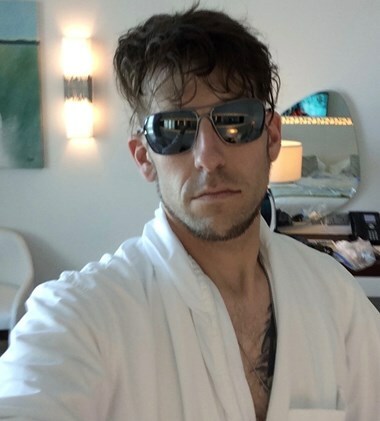 Dare has been writing poetry since he was 12 years old and has been featured in JIMMY MAGAZINE, STARRFUCKER, and Queering Zine. A recent album of Home School Claremont 2017, he is currently studying violence within sub-cultures and is working on his first manuscript. Jacqueline Balderrama received her MFA from Arizona State University and is currently pursuing a PhD in poetry at the University of Utah. She serves as poetry editor for Iron City Magazine, creative expressions by and for the incarcerated. Her work has appeared in Cream City Review, Blackbird, and others. Hieu Gray is a poet and filmmaker from California. She holds an MFA in Creative Writing/Poetry from NYU’s inaugural low-residency program with workshops in Paris and a BA in Journalism/Creative Writing from Emory University. She has been a recipient of a national poetry fellowship from the Norman Mailer Center and has been a finalist for the Ruth Lilly and Dorothy Sargent Rosenberg Poetry Fellowship. 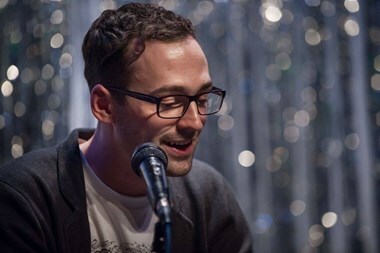 Gray’s work has been performed on stage for Emotive Fruition – a performance series bringing poets and actors together. She was a finalist for the Aesthetica Creative Writing Award 2016 and her poem “Ghost Song” was published in its literary anthology. Her digital video poems series “The Moving Words Project” includes a modern retelling of Sylvia Plath’s “Lady Lazarus” which premiered at the International Video Poem Film Festival in Athens, Greece. For over a decade, Gray was an award-winning senior producer at CNN. I am a non-media specific artist, and my work is usually project based. Typically, when I start a project, I explore the subject territory as thoroughly as possible. Sometimes images come to me in waves, often pushing through the news of the day as the Bulls in Pamplona run through life’s textures. People, places, and things circumscribe my marks, objects, and sounds occasionally allowing me to see around corners. Looking into the future is not difficult. The problem is acceptance; accepting that lives can change due to actions done in the here and now. At times it’s just an errant word or aroma that lifts the curtain, because the present, as our future, is nothing more than multiple images; not just any images but the ordered relocation of our past. For me, peeking under that curtain reveals the base upon which rests our unconscious desires, whose ultimate goal is self-actualization. Tomás Cohen is a writer and translator from Chile. In 2003, he received a grant from the Pablo Neruda Foundation. He studied Musicology and Fine Arts at P. Universidad Católica de Chile and Art History at New York University. After living for two years in Nepal, he is currently based in Germany, where he studies Buddhism, Tibetan and Sanskrit at Universität Hamburg. Tomás has read his poetry in recitals and festivals in Argentina, Chile, Czech Republic, Finland, Germany and the USA. As a member of the Found in Translation writers collective, he organises the Hafen Lesung international reading series in Hamburg, and is the Chilean Editor-at-Large for Asymptote journal. He has interviewed and/or translated the poets John Ashbery, Adam Fitzgerald and Timothy Donnelly. His book Redoble del ronroneo was published by Buenos Aires Poetry in 2016. His poetry has been translated into German and Greek. Rachel James is a Canadian artist and poet with a background in social anthropology and experimental ethnography. She has exhibited or performed throughout the United States, Canada and Europe, including at La MaMa, The Watermill Center, Essex Flowers, MoMA PS1, Spectacle, and Recess in New York, SFMOMA, Totaldobže in Riga, Kamppi Chapel in Helsinki, and The New Gallery in Calgary. She has curated exhibitions and performance events in Mexico City and New York, where she lives and works. Naoko Fujimoto was born and raised in Nagoya, Japan. 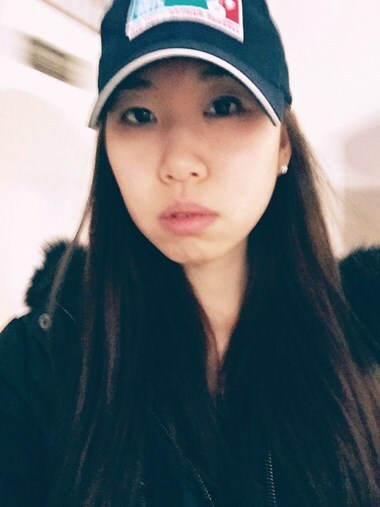 She was an exchange student and received a B.A. and M.A. from Indiana University South Bend. Her recent publications are in Prairie Schooner, Hotel Amerika, RHINO, Cream City Review, and many other journals. Her first chapbook, “Home, No Home”, won the annual Oro Fino Chapbook Competition by Educe Press. Other short collections, “Silver Seasons of Heartache” and “Cochlea”, will be published by Glass Lyre Press in May, 2017. Currently she is working on her graphic poetry collection, which will be published by Tupelo Press. Her progress can be seen at her blog. Originally from Mexico and Northern California, Paco Márquez’s work has appeared in Apogee, Ostrich Review, and Huizache, among others. Recipient of fellowships from New York University, The Center for Book Arts, and the Squaw Valley Writer’s workshop, he holds and MFA in poetry from NYU, where he was poetry editor of Washington Square Review. One of his poems went up on a public mural through Sacramento’s Del Paso Words & Walls Project. He was featured on Columbia University's WKCR 89.9 FM’s “Studio A,” and in “I Know No Country,” a short film directed by Antonio Salume which won NYU’s Spring 2016 Sight & Sound Documentary Film Festival. Currently, he is poetry editor at OccuPoetry. Samantha is a poet, comic, actor, computer-musician & 2015 alumnus of NYU Gallatin, where she pursued a course of study in the psychosocial dimensions of capitalist development and minored in Spanish & Creative Writing. In 2017, Lynne Thompson was awarded a Literary Award from the Tucson Festival of Books and in 2015, she received a Master Artist Fellowship from the City of Los Angeles. Thompson is the author of three poetry chapbooks as well as two full-length poetry collections, Beg No Pardon, winner of the Perugia Press Book Prize and the Great Lakes Colleges Association’s New Writers Award, and Start With A Small Guitar (What Books Press). Her poems have appeared or are forthcoming in Cultural Weekly, North American Review, Ecotone, Rattle, African American Review, Poetry, Crab Creek Review, and Prairie Schooner, as well as the anthologies Coiled Serpent, Poets Arising from the Cultural Quakes & Shifts of Los Angeles and Wide Awake: Poets of Los Angeles and Beyond. Thompson is Reviews and Essays Editor of the literary journal, Spillway. MC Hyland is founding editor of DoubleCross Press, and is currently working on a dissertation on poets' uses of the commons, as well as on an ongoing poetic research project on walking, friendship, and publishing. She is the author of the poetry collection Neveragainland and of several poetry chapbooks, most recently THE END PART ONE (forthcoming from Magic Helicopter Press). Amanda Scharf is a writer and educator. Her poetry and creative non-fiction explore memory, visuality, and the fragment. In collaboration with visual artist Emma Berliner, her work has been shown at Printed Matter’s LA Art Book Fair at MOCA. Their collaboration examines the intersection of book and art object. Amanda lives in Los Angeles. Omotara James lives in NYC, where she is an MFA candidate. She is the recipient of Slice Literary’s 2016 Bridging the Gap Award for Emerging Poets, as well as the Nancy P. Schnader Academy of American Poets Award. Her work has appeared or is forthcoming in Winter Tangerine, Crab Fat Magazine, Cosmonauts Avenue, Newton Literary, The Arkansas International and elsewhere. She has received scholarships from Cave Canem, the Home School and the Garrison Institute. Her poems have been anthologized in Civil Coping Mechanisms’ A Shadow Map: An Anthology by Survivors of Sexual Assault. She was shortlisted for the 2017 Cosmonauts Avenue Poetry Prize and was named a finalist for the 2017 Sillerman First Book Prize for African Poets. Recently, she was invited by Simone White to read at The Poetry Project, for their Wednesday Night Reading Series, which was spectacular. Phil Spotswood is a MFA Poetry candidate at Louisiana State University, where he also serves as the managing editor of New Delta Review. His work can be found in TAGVVERK, Hobart, Heavy Feather Review, and elsewhere. He is a contributing editor of Cartridge Lit. Langdon Ferguson is a Los Angeles-based writer and actor who grew up in Atlanta and Mississippi. She received her BA from Wellesley College with a concentration in Art History and Studio Art. Before settling in Los Angeles, she lived in Beijing, Shanghai, Amsterdam, and New York, during which time she worked in the curatorial department as a Luce Scholar at the Museum of Contemporary Art Shanghai and contributed reviews for the contemporary Chinese art publication ArtZine. In Los Angeles, she co-founded Art and Action LA, now a subsidiary of Not Man Apart Theatre, which helps fund and incubate local artistic productions. Currently, she works as a strategy consultant to the Academy of Motion Pictures Arts and Sciences. 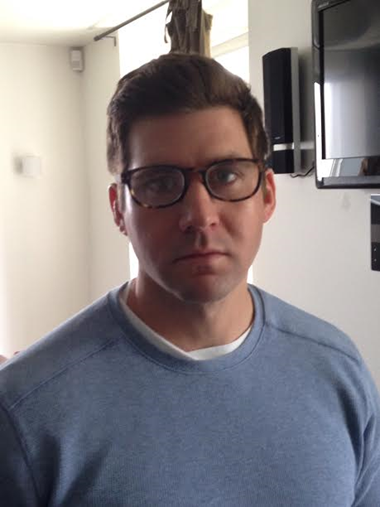 Charles Kell is a PhD student at The University of Rhode Island and editor of The Ocean State Review. His poetry and fiction have appeared in The New Orleans Review, The Saint Ann’s Review, IthacaLit, and elsewhere. He teaches in Rhode Island and Connecticut. Marci Calabretta Cancio-Bello is the author of Hour of the Ox, which won the 2015 Donald Hall Prize for Poetry (University of Pittsburgh Press, 2016) and the chapbook, Last Train to the Midnight Market (Finishing Line Press, 2013). The recipient of two Academy of American Poets Prizes and fellowships from Kundiman and the John S. and James L. Knight Foundation, her work has appeared in Best New Poets 2015, Columbia: A Journal of Literature & Art, Los Angeles Review of Books, Narrative Magazine, and more. She currently serves as cofounding editor for Print-Oriented Bastards, producer for The Working Poet Radio Show, and a program coordinator for Miami Book Fair.